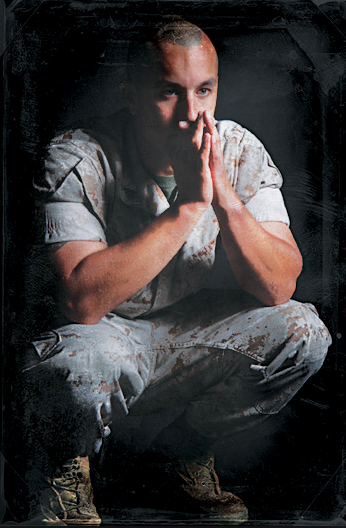 Back in 2010, I wrote a feature about the invisible wounds of war for Marines Magazine. It was one of the hardest pieces I had to write since the topic literally hit home. My own family was in what turned out to be the beginning of my husband’s battle with post-traumatic stress disorder. PTSD is not a new issue, and my peers in the post-9/11 generation have been fortunate to come home to a more understanding civilian populace than our predecessors. However, there is still a large civilian-military divide, and combating the stigma associated with PTSD is a critical component of this. In this first blog of the series, Combat the Stigma, I want to address how families and friends play a critical role in the life of someone struggling with PTSD. I’ve been the struggling service member. I’ve been the scared wife. I’ve been the worried sibling, and I have been the NCO that had to tell her troops their friend took his own life. The one thing I’ve learned from these experiences is that without a strong support system crisis and even tragedy can ensue. If one of your friends or family members is struggling there is a myriad of resources available to assist them. I encourage you to get to know those resources. Understanding the process of a triggering event, the psychic reaction to trauma, the warning signs and symptoms of PTSD, and available treatment options allows you to help recognize, support and guide your loved one toward diagnosis, treatment and healing. In the years I’ve dealt with PTSD in my peers and family, I’ve learned a few lessons I’d like to share with loved ones of those struggling. This is not professional advice, nor does it supersede the need for intervention of emergency services in the event of a crisis. 1. You cannot help someone who doesn’t want to help themselves, however that doesn’t mean you give up on them. Be there for them – to listen if they need to vent or hug them if they need to cry. Provide a safe environment by knowing their triggers and how to avoid them. That being said, be prepared for what they might say. 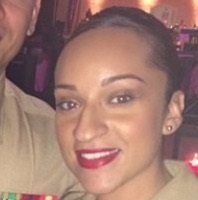 My husband opened up to me because he knew that as a Marine there was nothing he could tell me that would scare me away (honestly, some of the things he shared still left me speechless). Our’s was a unique situation, and everything he told me stayed between us in confidence. If your veteran is struggling, and cannot or will not open up to you, connect them with a friend. There were plenty of times I texted one of my husband’s buddies and asked them to call him. I hated walking on eggshells everyday, not knowing what kind of mood my spouse would be in when we got home. I was as patient as I could be. Part of knowing his triggers and avoiding them meant removing alcohol from our home. I even went as far as removing the weapons from our house too. The fear of him hurting himself literally paralyzed me. We sought marriage counseling and it was in the safety of that room with the chaplain that I told him that I thought he needed help. I expressed the fear and anxiety of the unpredictability in his behavior. I asked him if his team leader, who was KIA in Ramadi in 2006, could see him right now, would he be proud of the man he’s become? And I asked him to get help for the sake of our family. No good man WANTS to his wife or children to fear him, and I was lucky that it was enough for changes to be made. However, family members have to understand that PTSD, especially if it’s been left untreated, has the potential to hijack a person’s identity. Their reality may not be our reality. Keep that in mind as your family explores the best approach and options. 2. Don’t diagnose. By the time family members notice there’s a problem, the individual probably has as well. But PTSD is a hard pill for anyone to swallow, let alone a hardened combat veteran. Don’t label the individual without a medical diagnosis. Instead, help them to accept that there’s no shame in getting help. If they initially refuse treatment, don’t push the issue – especially in the midst of an episode. In my home, an episode usually invovled alcohol, and I learned the hard way that one cannot and should not argue with an intoxicated individual. Self medication and substance abuse is common among people who suffer from PTSD, and it compounds existing issues. My only advice at that point is to get them to a place they can sleep it off, and remember to call on reinforcements if you need them – and by this I mean a friend they trust that can stay with them through the moment, even over the phone. In the midst of his own struggles one night, my husband stayed on the phone with one of his friends for three hours literally talking the life back into him. Listening to them cry, and tell each other that they are still here for a reason, and that one couldn’t give up on the other was one of the most sobering experiences of my life. I cannot fathom their pain, or survivor’s guilt, but in that moment I was so happy these Marines had each other. At 2 am on a Wednesday, they had each other. Never underestimate the bond of service. Find a friend your loved one can confide in, tell them you need their help, and I’m positive they will be there to answer a call, any time of day. 3. Be patient. PTSD doesn’t really go away – at least not from what I’ve seen. It can be managed, and many veterans are living proof that a person with PTSD can lead a healthy, productive life without being a threat to themselves or others. There will be lifestyle changes, there will be sacrifices, but I promise they will be worth it. For the gun lovers that have read this far, we did bring our weapons back, when we mutually agreed it was safe to do so. Lastly, veterans – as well as friends and family members – please realize that you are NOT alone. There are thousands of us in this fight against PTSD – fighting for our vets, and fighting for our families. Below are the links to where I started my PTSD research. Additionally, the Veteran’s Crisis Line and IAVA’s Rapid Response Referral Program can connect you with local resources to get your loved one, and family back on track. If you’re interested in sharing your experience/advice on combating the stigma associated with PTSD on our blog, we’d love to feature it. Please email us at engagement@iava.org. There are so many of us in this community, and it’s our duty to educate, encourage and empower one another.